Israelite Samaritan History, Religion, Music, Art, Food, Festivals, Calendar, Choir and more . . .
We adhere to four Principles of Faith. Our High Priest, is our leading religious representative. The Israelite Samaritan Torah remains our holy scripture. Down the ages we have preserved our ancient Hebrew language, costume, cuisine, and culture, as well as our music, poetry, and religious identity. As a result, today we are a direct link with the past, through our way of life and our heritage. During a sometimes difficult past we have learned to coexist harmoniously with our neighbours. Elements of our tradition are familiar to other cultures, for example Judaism, Islam and Christianity. Accordingly, we believe we are uniquely placed to be a bridge for peace (gesher leshalom) between the peoples of the Middle East. (See Women For Peace). 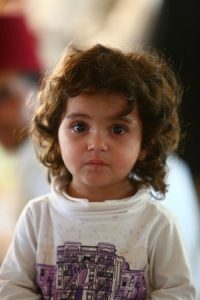 Samaritanism is the root of the Abrahamic religions in the region, including not only Judaism, Christianity, Islam, but also the Druze and Bahai faiths. Though rooted deeply in the past, we are a vibrant modern community with contemporary enterprises and interests. See Enterprises. Formerly, the Israelite Samaritan Community almost disappeared completely. (See Population Statistics). By contrast, the present-day community’s four Households, are thriving. Significantly, Mount Gerizim has always been our Mount of Blessings, our traditional place of worship – Jerusalem was never sacred to us. Today, the Israelite Samaritans live on Mount Gerizim and in Holon south of the modern city of Tel Aviv. Click here to find out how to experience Samaritan life at first-hand. Aspects of our religious life are depicted in some of the works of Samaritan artist Miriam Tsedaka. 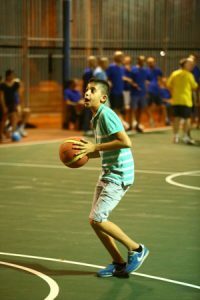 The Gerizim and Holon communities integrate successfully with the lifestyles of their neighbours. In addition, the two Israelite Samaritan groups share close ties. For example, the Holon community all have homes on Mount Gerizim, and the communities celebrate major festivals together. Pessach (Passover) is possibly the most well-known festival. Then Samaritans sacrifice the Paschal Lamb and maintain the traditions passed down the generations. The A.B Institute of Samaritan Studies in Holon is a leading authority on all things Samaritan. The institute functions as a source of reference material, thus continuing the well-known tradition of the Good Samaritan. Click the link for a Samaritan perspective on the Good Samaritan story – it might surprise you. Brothers Benyamim and Yefet Tsedaka have directed the institute since they founded it in 1981. Subscribers to a separate mailing list (same email address) receive lists of the Torah Readings appropriate to the year and month in the Samaritan Calendar. 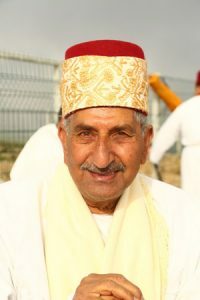 Benyamim Tsedaka is a not only a publisher, but also an historian and the author of many Books on Israelite Samaritan themes. Each year, he tours the world lecturing on his people’s culture and traditions. Find details of this year’s tour on the Lecture Tour page. Twice monthly Benny and his brother Yefet Tsedaka publish a newspaper and magazine in four languages, AB The Samaritan News. Excerpts appear in the News section of this website. Samaritans award The Samaritan Medal for Achievement in Peace, Humanitarian or Samaritan Studies to suitable recipients, who may be of any faith or nationality. The Israelite Samaritan Singers choir performs worldwide. The Choir introduces traditional Israelite Samaritan music to listeners from other cultures. It is one of the oldest forms of music in the world. Other photographs credited on the page. This is the website of AB-Institute of Samaritan Studies, publisher of AB Samaritan News.